Dayspring Christian Academy’s Upper School Principal, Dan Stone, received his master’s degree in May of 2017. The following is an excerpt from his Master’s Thesis titled: The Role of the 21st Century Evangelical Church in the 21st Century Christian School. The idea that the state or government should be responsible for the education of youth, while commonplace and expected now, is actually a recent phenomenon. As the American nation has progressed and evolved, so has its educational systems. 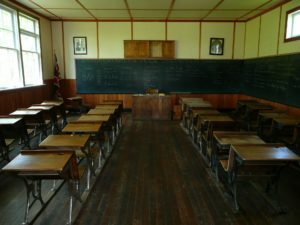 Schools have grown from primarily home-education in colonial times, to local schools in colonial and pioneering times, to community schools at the dawn of the 19th century public school movement; and over time, became more organized and controlled by local, state, and even the federal government. During the beginning of the 20th century, a movement of private Christian schools was born largely out of a desire to combat the growing modernistic philosophies and secularization of society. From the middle to the latter part of the twentieth century, this movement had a significant pattern of growth. As the 21st century approaches its third decade, the Christian school movement has seen significant change. Both the terror attacks of September 11, 2001, and the subsequent overseas wars, and the housing crisis of 2008 which was followed by the Great Recession of 2009-2012 have made their marks on all of American society. Christian schools have not been immune to the effects of these events. In recent years, reports of Christian day schools closing their doors has been alarming. However, the economy cannot carry all the blame for this significant shift. 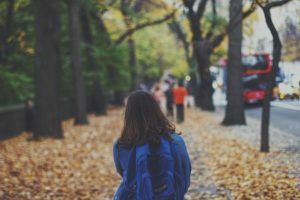 Just as the demographic makeup of the evangelical church shifts from Baby Boomers and Generation X to Millennials representing the adult population of congregations, there seems to have also been a significant change in the mindset of Christian American parents regarding the education of their children. Additionally, many American pastors do not promote the Christian day school. The reasons for this might vary as much as the pastors themselves. In spite of this though, there is good evidence, from a biblical historical model, and from modern research, that shows that the Christian day school is a fitting, and perhaps the best choice a Christian parent can make. The biblical model of education is the home-church-school, “three-legged stool” model. God first gave the instruction of teaching to the parents (Deuteronomy 6), then to the religious leaders. The modern adaptation of education has taken on the form of parents partnering with an institution to assist them in the formal education of their children. Should Christian parents form a partnership with the state to achieve this God-ordained mandate? Or, is the better option to partner with the church and the Christian school for this endeavor? What does the Bible have to say about educating children Christianly? Parental Responsibility: Deuteronomy 6:4-9—These verses are commonly referred to as the “Education Mandate.” In this passage of Scripture, Moses commands the Israelites to teach God’s statutes to their children and their grandchildren. The purpose was that “they may fear the Lord” (Deut. 6:13, NASB). Moses commanded that the teaching be done “when you sit at home and when you walk along the road, when you lie down and when you get up. Tie them as symbols on your hands and bind them on your foreheads. Write them on the doorframes of your houses and on your gates.” The crux of the passage is that truth is to be integrated into all of life and that our children should be taught that every moment and every day should give testimony of faith in God. Moses makes it clear that the responsibility for this education rests on the parents. Point Students to the Power of God and His Wonders: Psalm 78 has educational principles as it relates to God’s hand in history, specifically the history of the Hebrew people. At this time in Israel’s history, the family still bore the primary responsibility for education, but they had also begun to delegate portions of the teaching to the synagogues and schools. Therefore, this passage gives guidance to both parents and educators to point students to the power of God, his acts, and wonders. This encourages the study of history from a providential perspective, i.e. that God is using the events and actions of mankind to bring about His perfect will. God’s Word is the Center of Education: Nehemiah 8:1-18 references Ezra’s post exilic reading of the law to the people. This portion of Scripture relates how the Levites were responsible for explaining the Scriptures to the people. They were to educate the people in three ways: 1. Proclamation of God’s word, 2. Explanation of God’s word, and 3. Instruction in application of God’s word. It is suggested that this example of education gives a mandate for the education of the whole community. The biblical mandate here, while not directly applicable to the day school setting, still lays out a foundational principle of the importance of educating the people in God’s word. 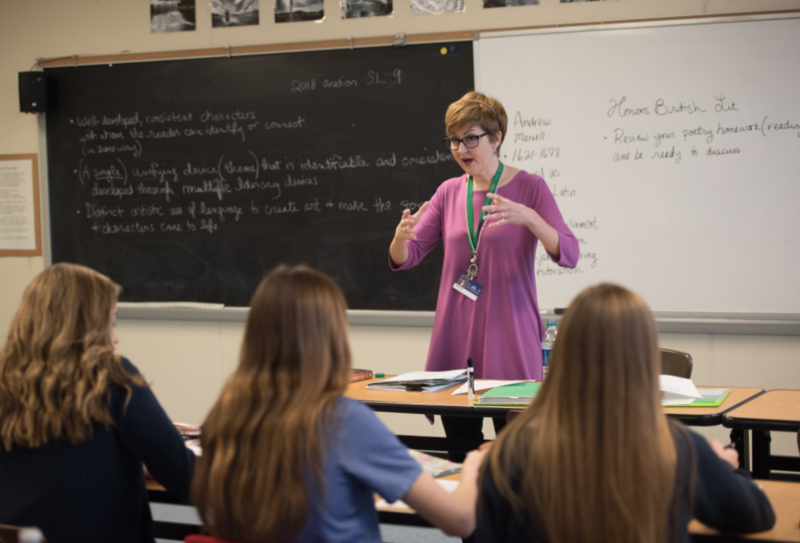 Characteristics of a Teacher: Wisdom Literature includes many Old Testament passages such as the Psalms, Proverbs, Ecclesiastes, Song of Solomon, and Lamentations. These passages are connected to education by stating that educators must not only have the gift of teaching, but also be endowed with wisdom. Education for the Whole Child: Finally, in the New Testament, in Ephesians 6:4 (NASB), when Paul writes to fathers, he commands them to train up their children in the “discipline” and “instruction” of the Lord. The Greek words used here are paideia and nouthesia. These two words encompass all that these Greeks in Ephesus would have understood to be the whole education of the child. So, as Paul wrote to Ephesian fathers about instructing their children, it was from a holistic view. What Data Is Available to Support Christian Education? In 2011, a comprehensive study was done by Cardus, which calls itself a “think tank dedicated to the renewal of North American social architecture.” It surveyed graduates of public schools, Protestant Christian schools, Catholic schools, non-religious private schools, and homeschool settings. The results of the Cardus Education Survey shed light on these graduates and their habits later in life. Below is an outline drawn directly from the Executive Summary of the Cardus Education Survey. Outcome 1—Community Impact: Protestant Christian school graduates are uniquely compliant, generous, outwardly focused individuals who stabilize their communities by their uncommon commitment to their families, their churches, and larger society. Outcome 2—Family Impact: Protestant Christian school graduates are more likely to make family the top-ranked emphasis than any of the other options given. Protestant Christian school graduates are having more children and divorcing less frequently than their peers from public and Catholic schools. Outcome 3—Gratitude: Protestant Christian school graduates are the only private-school graduates more thankful for what they have in life than their public school peers. In addition, Protestant Christian school graduates are the only private school graduates to report greater direction in life. 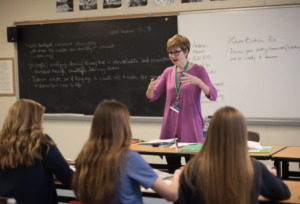 Outcome 4—Commitment to Faith: Protestant Christian school graduates are more committed to their churches, practice spiritual disciplines more frequently, and are following church teachings at much greater rates than their Catholic, public, and non-­religious private school peers. Outcome 5—Morality: Protestant Christian school graduates hold more strongly to the belief that morality is unchanging and absolute. Outcome 6—Distinctiveness: Protestant Christian school graduates are distinct in their belief in the traditional teachings of the church. Outcome 7—Faith: Protestant Christian school graduates are also far less likely to report having doubts about their faith. Protestant Christian school graduates show significantly more adherence to the church teachings than their peers. Outcome 8—Generosity: The graduates of Protestant Christian schools give significantly more money than all other school graduates. Outcome 9—Long-term Dedication: One of the most significant findings in this study is the long-term commitment of Protestant Christian school graduates to stay within the Protestant faith. 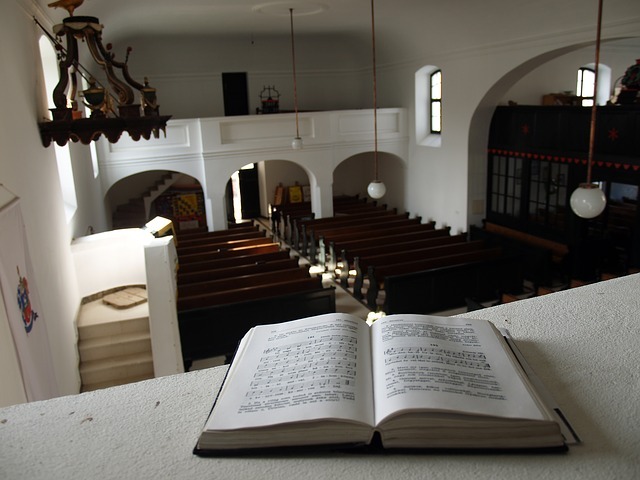 Outcome 10—Volunteering: Graduates of Protestant Christian schools seem to be more committed to their churches, volunteering more and giving more money to their congregations. Why Don’t Pastors Advocate for Christian School? There are a number of reasons that could make pastors hesitant to recommend Christian Schools to their congregants. Based on formal interviews with local pastors, the author has drawn together several points to consider. One reason may be due to a fear of monies being diverted away from tithes and offerings. For example, there may some fear that if congregants have to pay thousands of dollars in tuition, they will then choose to not to tithe on a regular basis. It stands to reason that when parents are making tough choices about how to spend their money, if they choose to invest in Christian schooling for their children, they might consider giving less to the church a justifiable position. If this were true, it would be a legitimate fear for pastors. Another reason to be considered is that pastors may feel that a family’s commitment to a Christian school could cause a subsequent lack of commitment to a local church. Undoubtedly, churches and pastors may feel a frustration with Christian school youth (and parents) who place less importance on church and youth group attendance out of a false sense of “adequacy” in Christian instruction. Some pastors have reported hearing statements along the lines of: “My child goes to a Christian school five days a week and is therefore getting all the Bible instruction needed.” Parents of Christian school students may feel less inclined to have their children be active members in the youth group and its functions, and may even feel less committed to regular Sunday morning worship. This could become a point of contention between the Christian school and many churches. Additionally, Christian schools can be insensitive to scheduling things on Wednesday nights, causing there to be a pull between church and school for Wednesday evening youth group attendance. Other factors of perceived or real “competition” may come to play when Christian schools schedule mission trips, charitable activities and community service projects, leadership training and development of youth, etc. In any number of these situations, youth and their families might engage less with the church because of commitment to these areas within the Christian school. These and perhaps other issues, have great potential to damage the relationship between the church and the school. Parents who would rely on the Christian school for the sole Spiritual instruction, training, and equipping of their child view the Christian school improperly. And, the Christian school who would seek to provide the lion’s share of spiritual instruction, training, and equipping for its students views its role improperly. The home, church, and school, in that order, should work together as compliments to each other in the bringing up of children. Jesus said He would build his church as the means of propagating the gospel. When there is a pull between the Christian school and the church, the school should yield preference. However, it is crucial for pastors and churches to view the Christian school as an ally and to work with Christian school leaders to be a true compliment to each other, for the good of children, their families, and ultimately, for the propagation of the gospel. With the understanding of the Biblical Mandate and the data provided by the Cardus Foundation, the author proposes that pastors be more intentional in their shepherding of the flock as it concerns the education of children. For reasons indicated earlier, it is not likely, and perhaps unwise, for there to be an expectation of pastors to condone Christian education wholesale, especially from the pulpit. Not all Christian schools are distinctly Christian. Some Christian schools provide an inferior education. What pastors can do, however, is bring to mind what God’s word has to say about child-rearing, specifically what it says about educating children. The Bible could not be clearer that the responsibility of education of children rests on the shoulders of the parents. That is not to say that all formal instruction must come from the parents, but that the parents will be the ones to give an account for how they handled God’s instruction for them to raise their children, and education will be one of those accountable facets. Therefore, pastors are firstly encouraged to be intentional in their direction do their congregants about taking this charge seriously. Too often it seems, parents simply go with the default of sending their children to the government schools as though there is not even another option. Pastors should be encouraged to address this issue by calling on their congregants to make this a matter of prayer and deliberation. Pastors who might support a variety of educational methods stand to lose nothing if they would at least teach the following: The Bible has instruction for parents on educating and teaching their children. In America, the people are blessed to have a variety of options. It should never be a “default” to just choose the school the government regulations mandate based on one’s residency. Parents should be charged to make their children’s education a matter of prayer. “You, as parents, need to pray and ask God what He wants for your child,” pastors could say. Pastors can speak on Christian education—not Christian schools, but Christian education. They can admonish and instruct parents to consider their biblical mandate of educating their children in a Christian manner. Secondly, pastors should instruct their congregants to be intentional in their children’s education. Regardless of which kind of choice is made for the child’s schooling, parents should be admonished to the need to stay engaged. Intentionality is the key to success in any endeavor, and parenting and educating children is no exception. So, whether or not the children are homeschooled, public schooled, or in a Christian school, parents need to be tuned in to the instruction, especially worldview instruction, which the children are receiving. Thirdly, pastors can and perhaps should reach out to Christian schools to develop relationships and have better understanding with each other. It is common for Christian schools to have events such as Pastor’s Appreciation Day and to have pastors come and speak at chapel services or at special events. Pastors are encouraged to look for ways to reach out to this segment of their congregation. Perhaps great collegiality could be reached and through some intentional partnership on a number of levels, students can truly be surrounded by Christian influences from the home, the church, and the school. Help from men’s and women’s ministries for parents of academically challenged homeschool students and others who have educational needs. 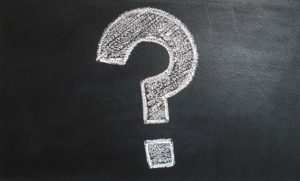 Dr. Cox concludes his letter appropriately by asking a question: “Can there be any doubt that we need to address this neglected matter of convicting and equipping parents for the godly education of their children? Surely this is an ordained answer to the Lord’s model prayer that His will be done and His kingdom come—for the good of children, parents, families, the nation, and the Church. Pastors, please help promote Christian education” (Cox, 2007, p. 41). Reach out to churches to develop relationships. Hold forums, pastor-appreciation events, invite pastors to speak at school chapel services and other classes or events, etc. In some instances, pastors may be invited to teach a Bible class, or perhaps do guest lectures on specific units of study. In matters of theological idiosyncrasies, develop policies that refer students to their parents and pastors for Spiritual authority. If taking a missions trip, work with one or several of the local churches and partner together. Keep Wednesday nights open so families can attend church/youth group functions. In 1950, Rev. Earl Zetterholm, a pastor and Christian school leader, argued in a National Association of Christian Schools newsletter that nowhere in Scripture could he find justification for education being a responsibility or role of the state; and therefore, biblically speaking, education should operate outside the sphere of government. He said “Christian parents must take back the authority they have given to the state in order that they might fulfill their divinely-ordained task of ‘training their children in the way they should go.’ The only possible way of doing this is for Christian parents to inaugurate an extension of the Christian home by the formation of a Christian school” (Slater, 2012, p. 170). This was a call of renewal in the mindset for parents that our children are our children. He goes on to state, “Our duty is plain. It is dictated by God as well as by present situations and future omens. Christian children must not be trained in Christ-ignoring schools. While it is still legal – and by way of perpetuating its legality – the “remnant” must establish their own schools, cost what it may” (Slater, 2012, p. 184). Frank E. Gaebelein (1954) who wrote in The Pattern of God’s Truth said: “If we want our children to have a God-centered worldview, the foundations must be laid in early youth” (pp. 102-103). What Zetterholm and Gaebelien wrote in the 1950s is still true for 2018! Jordan Ferris (1995) wrote in “The Role of Christian Education in Church Growth” that: The Great Commission in Matthew 28 and the church at Antioch in Acts 11 give great examples of the early church taking Jesus’ Great Commission seriously. “For a whole year, Barnabas and Saul met with the church and taught great numbers of people,” Acts 11:26 says (New American Standard Bible). Sound teaching was a significant part of the early church’s growth. It makes logical sense that if a Christian institution, such as the church, wants longevity, they will train up the future leaders to view the world from a Christian standpoint. Ferris (1995), in calling for more intentionality from churches regarding Christian education says, “A Christian education program must be designed to call for greater commitment, not expect lower levels of commitment, emphasizing Jesus’ call to count the cost. Strong Christian education ministries need to be led by pastors and staff who are biblically and theologically informed so that the teaching never degenerates into a market-driven motif that lacks biblical and theological soundness” (Ferris, 1995, pp. 135-136). Pastors and church leaders have a great opportunity to both spread the gospel and strengthen the church in American society. If churches and schools can overcome some of the obstacles in their way, they can be great partners for the cause of Christ. 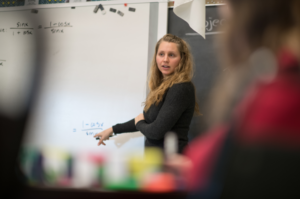 Dayspring Christian Academy is a PreK-12 Classical Christian School in Lancaster, PA. If you’d like to learn more about Dayspring, please register for a personal tour or call Karol Hasting at 717-285-2000. Gaebelein, Frank. E. The Pattern of God’s Truth. 1954. Oxford University Press. New York, NY. Lockerbie, D. (2005). A Christian Paideia, the habitual vision of greatness. 2005. Purposeful Design Publications. Colorado Springs, CO.
Pazmiño, R. (2008). Foundational Issues in Christian Education: An Introduction in Evangelical Perspective. Baker Academic. Grand Rapids, MI.